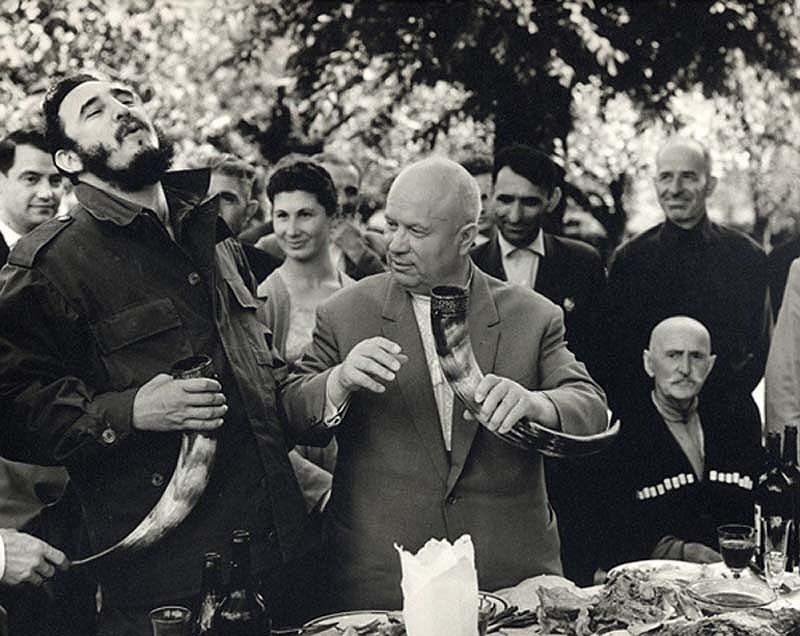 Fidel Castro and Nikita Khrushchev. On the 27th of April, 1963, the leader of the Cuban Revolution paid his first visit to the USSR, that journey lasted for forty days. He managed to see a lot of cities and visit numerous factories, secret military bases, a nuclear submarine, walk along Moscow without security guards, talk to the authorities and ordinary people. 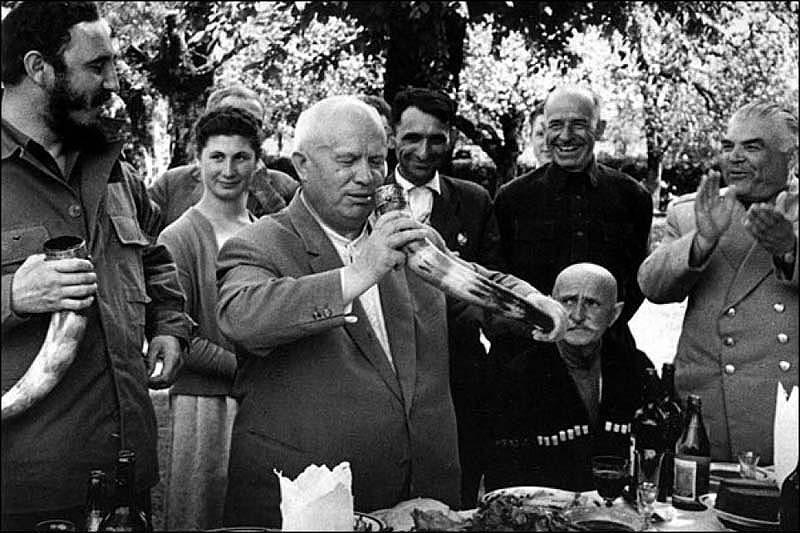 He became the first foreigner who came up to the podium of the mausoleum and even received the title of Hero of the Soviet Union. Castro spoke about the development of Soviet agriculture, repeatedly emphasizing the necessity for using Soviet experience in solving internal tasks of socialist construction in Cuba. Castro asserted that the Soviet people “expressed by their deeds their love for and solidarity with Cuba”. 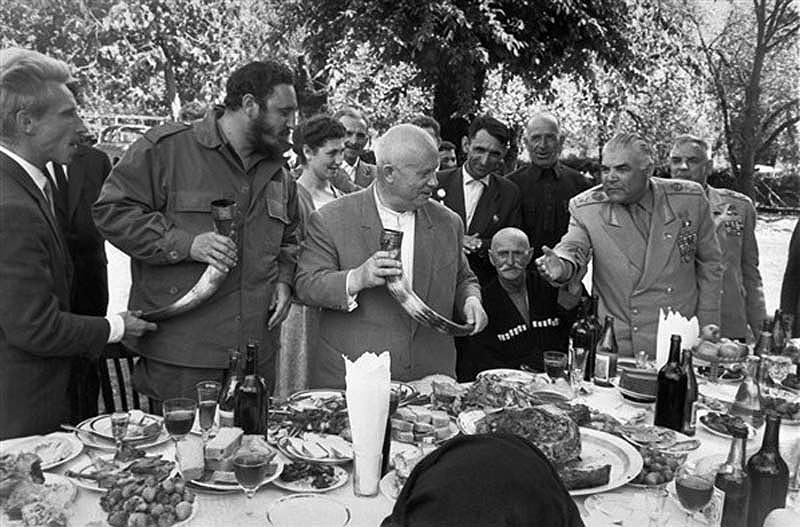 On the trip Castro and Khrushchev negotiated new sugar export deals and agricultural methods to solve the main problem in increasing the output of sugar. Despite Soviet attempts to appease Castro, Cuban-Soviet relations were still marred by a number of difficulties. Castro increased contacts with the People’s Republic of China, exploiting the growing Sino-Soviet dispute and proclaiming his intention to remain neutral and maintain fraternal relations with all socialist states. The Sino-Soviet split also impacted on Castro’s relationship with Che Guevara, who took a more Maoist view following ideological conflict between the Communist Party of the Soviet Union and the Communist Party of China. In 1966, Guevara left for Bolivia in an ill-fated attempt to stir up revolution against the country’s government.